Kinshasa (; formerly Léopoldville (French: Léopoldville or Dutch Leopoldstad )) is the capital and the largest city of the Democratic Republic of the Congo. It is situated on the Congo River. Once a site of fishing and trading villages, Kinshasa is now a megacity with an estimated population of more than 11 million. It faces Brazzaville, the capital of the neighbouring Republic of the Congo, which can be seen in the distance across the wide Congo River, making them the two closest capital cities on Earth after Rome and the Vatican City. 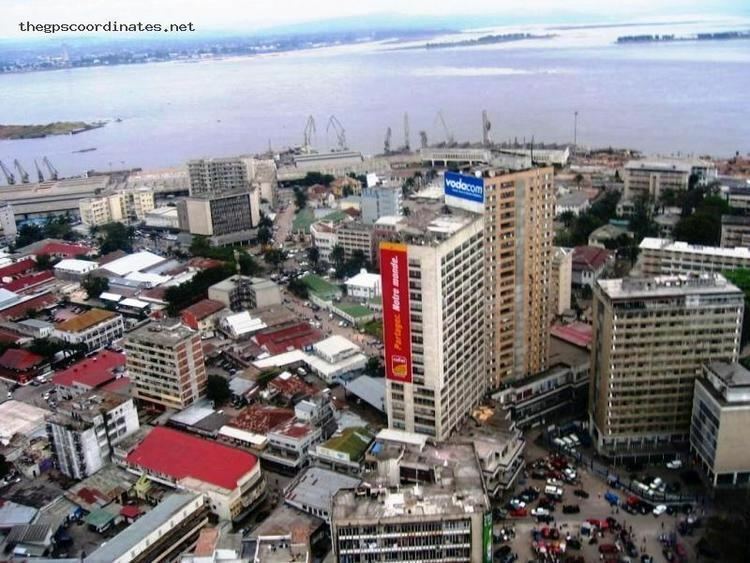 The city of Kinshasa is also one of the DRC's 26 provinces. Because the administrative boundaries of the city-province cover a vast area, over 90 percent of the city-province's land is rural in nature, and the urban area occupies a small but expanding section on the western side. Kinshasa is Africa's third-largest urban area after Cairo and Lagos. It is also the world's largest Francophone urban area (recently surpassing Paris in population), with French being the language of government, schools, newspapers, public services, and high-end commerce in the city, while Lingala is used as a lingua franca in the street. Kinshasa hosted the 14th Francophonie Summit in October 2012. The city was founded as a trading post by Henry Morton Stanley in 1881. It was named Léopoldville in honour of King Leopold II of Belgium, who controlled the vast territory that is now the Democratic Republic of the Congo, not as a colony but as a private property. 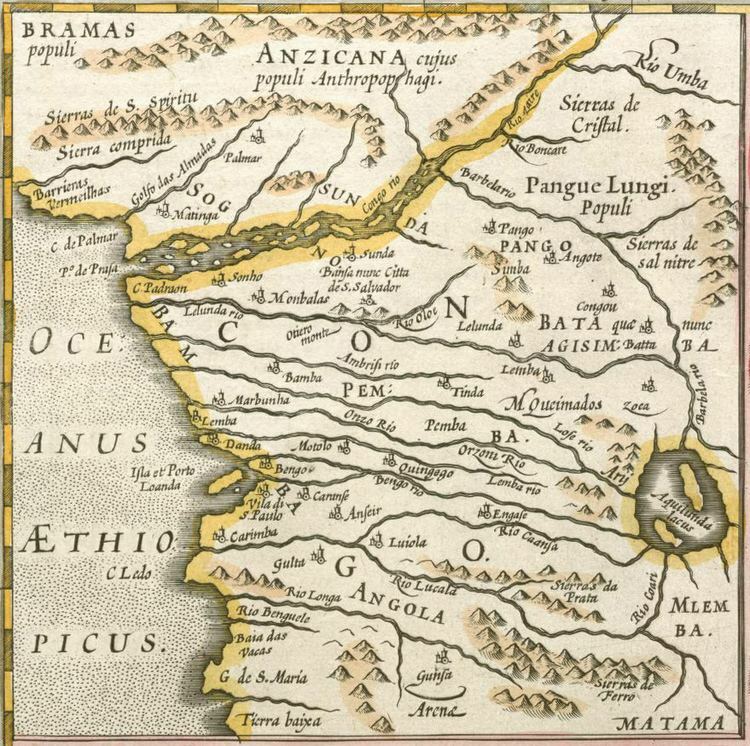 The post flourished as the first navigable port on the Congo River above Livingstone Falls, a series of rapids over 300 kilometres (190 miles) below Leopoldville. At first, all goods arriving by sea or being sent by sea had to be carried by porters between Léopoldville and Matadi, the port below the rapids and 150 km (93 mi) from the coast. The completion of the Matadi-Kinshasa portage railway, in 1898, provided an alternative route around the rapids and sparked the rapid development of Léopoldville. In 1914, a pipeline was installed so that crude oil could be transported from Matadi to the upriver steamers in Leopoldville. By 1923, the city was elevated to capital of the Belgian Congo, replacing the town of Boma in the Congo estuary. The town, nicknamed "Léo" or "Leopold", became a commercial centre and grew rapidly during the colonial period. After gaining its independence on June 30, 1960, following riots in 1959, the Republic of the Congo elected its first prime minister, Patrice Lumumba. Lumumba's determination to have full control over Congo's resources to improve the living conditions of his people was perceived as a threat to western interests. This being the height of the Cold War, it was inevitable that the U.S. and Belgium were not going to lose control of the strategic wealth of the Congo, in particular its uranium. Less than a year after Lumumba's election, the Belgians and the U.S. bought the support of his Congolese rivals and set in motion the events that culminated in Lumumba's assassination. In 1965, with the help of the U.S. and Belgium, Joseph-Désiré Mobutu seized power in the Congo. He initiated a policy of "Africanizing" the names of people and places in the country. In 1966, Léopoldville was renamed Kinshasa, for a village named Kinchassa that once stood near the site, today Kinshasa (commune). The city grew rapidly under Mobutu, drawing people from across the country who came in search of their fortunes or to escape ethnic strife elsewhere, thus adding to the many ethnicities and languages already found there. 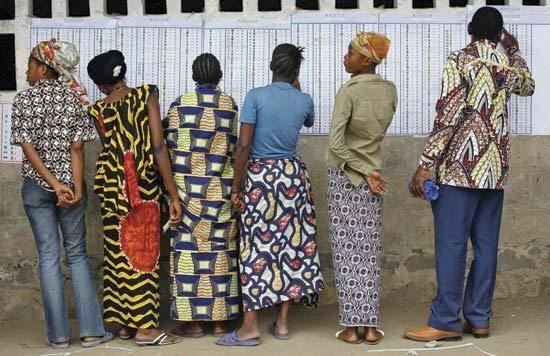 Joseph Kabila, president of the Congo 2001–present, is not enormously popular in Kinshasa. Violence broke out following the announcement of Kabila’s victory in the contested election of 2006; the European Union deployed troops (EUFOR RD Congo) to join the UN force in the city. The announcement in 2016 that a new election would be delayed two years led to large protests in September and in December which involved barricades in the streets and left dozens of people dead. Schools and businesses were closed down. Under the Köppen climate classification, Kinshasa has a Tropical wet and dry climate. Its lengthy rainy season spans from October through May, with a relatively short dry season, between June and September. Kinshasa lies south of the equator, so its dry season begins around its "winter" solstice, which is in June. This is in contrast to African cities further north featuring this climate where the dry season typically begins around January. Kinshasa's dry season is slightly cooler than its wet season, though temperatures remain relatively constant throughout the year. An official census conducted in 1984 counted 2.6 million residents. Since then, all estimates are extrapolations. The estimates for 2005 fell in a range between 5.3 million and 7.3 million. Although home to only 13% of the DRC’s population, Kinshasa accounts for 85% percent of the Congolese economy as measured by gross domestic product. A 2004 investigation found 70% of inhabitants employed informally, 17% in the public sector, 9% in the formal private sector, and 3% other, of a total 976,000 workers. Most new jobs are classified as informal. The People’s Republic of China has been heavily involved in the Congo since the 1970s, when they financed the construction of the Palais du Peuple and backed the government against rebels in the Shaba war. In 2007–2008 China and Congo signed an agreement for an $8.5 billion loan for infrastructure development. Chinese entrepreneurs are gaining an increasing share of local marketplaces in Kinshasa, displacing in the process formerly successful Congolese, West African, Indian, and Lebanese merchants. Mean household spending in 2005 was the equivalent of US $2,150, amounting to $1 per day per person. The median household spending was $1,555, 66 cents per person per day. Among the poor, more than half of this spending goes to food, especially bread and cereal. By 2017 the population of Malaka prison was reported at 7,000–8,000. Of these, 3,600–4,600 escaped in a jailbreak in May. Street children or “Shegués”, often orphaned, are subject to abuse by the police and military. Of the estimated 20,000 children living on Kinshasa's streets, almost a quarter are beggars, some are street vendors and about a third have some kind of employment. Some have fled from physically abusive families, notably step-parents, others were expelled from their families as they were believed to be witches, and have become outcasts. Previously a significant number were civil war orphans. Street children are mainly boys, but the percentage of girls is increasing according to UNICEF. Ndako ya Biso provides support for street children, including overnight accommodation for girls. There are also second generation street children. Kinshasa is the home to much of the Congo’s intelligentsia, including a political class which developed during the Mobutu era. The city is estimated to produce 6,300 m3 of trash and 1,300 3 of industrial waste per day. The city has two airports: N'djili Airport (FIH) is the main airport with connections to other African countries as well as to Brussels, Paris and some other destinations. N'Dolo Airport, located close to the city centre, is used for domestic flights only with small turboprop aircraft. Several international airlines serve Ndjili Airport including Kenya Airways, Air Zimbabwe, South African Airways, Ethiopian Airlines, Brussels Airlines, Air France and Turkish Airlines. As of June 2016 DR Congo has two national airlines, Congo Airways, formed with the help of Air France, and Air Kasaï. Both offer scheduled flights from Kinshasa to a limited number of cities inside DR Congo.